With 342 separate screens, thirty video clips, some one hundred audio clips, over two hundred of Montgomery's own photographs, readings by renowned actor Elizabeth Mawson, introductions to the principal Montgomery sites on Prince Edward Island and in Ontario, glimpses of rare manuscript and archival materials, hot links to related sites, commentary on all of Montgomery's writing, a new bibliography, and questions for discussion and research – The Bend in the Road is designed to appeal to Montgomery scholars and enthusiasts as well as those entirely new to Montgomery's work or life who have an interest in culture, history, or inspiration. The CD-ROM includes a family tree that has photographs and audio clips from some of Montgomery's living relatives. Noted historians, family members, and scholars take viewers on tours through Montgomery's past, the sites that now preserve her memory, and a gallery of Montgomery's own photographs. 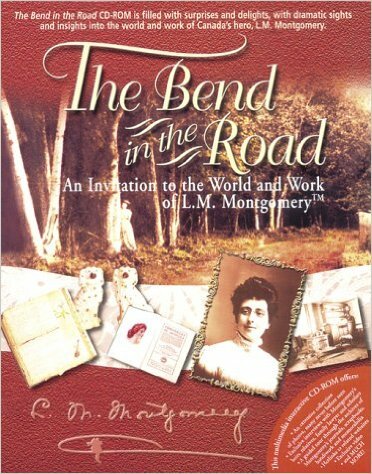 The Bend in the Road is ideal for individual viewing and also for classroom use; students from elementary grades through graduate school will find ideas and materials to pursue.